Invisalign® has helped more than five million people achieve straighter smiles through their revolutionary clear aligner orthodontics system. If you’ve been researching braces, you’ve probably heard of Invisalign. Dr. Holmes has been a Certified Invisalign Provider for more than 15 years, and his many successful results speak for themselves. He also offers Invisalign Teen®! Your Next Move is Clear! If you have questions or would like to schedule a consultation with Dr. Holmes, call or schedule below! Because every mouth and dental situation are different, Invisalign is not appropriate for everyone. The good news is that Dr. Holmes will be able to assess your individual case at your initial Invisalign consultation and tell you yes or no, so you won’t be kept in suspense. No, it really isn’t complicated—in fact, one of the pluses about the Invisalign system in contrast to traditional wire and bracket orthodontic braces is that Invisalign does not require as many dental visits while treatment is in progress. First, your initial set of Invisalign aligners are custom-made to fit your bite by Dr. Holmes. When those aligners arrive, he will make sure they fit well and let you know what will happen next. 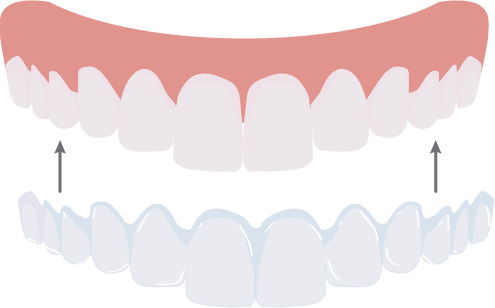 Your individual treatment plan will determine whether each set of aligners will be worn for either one or two weeks. You will see Dr. Holmes every six to eight weeks for checkups. These checkups are when you will receive your next set of aligners, and he will answer any questions or concerns you may have. For best results, aligners will need to be worn 20-22 hours each day. Is Invisalign Treatment as Easy as It Sounds? To shift teeth where you want them to go, actual physical movement of dentin and enamel must occur, and these are the strongest substances in the body. The advanced technology of the Invisalign orthodontics system designs this movement in advance and shifting happens very gradually, but you still may feel some discomfort each time you change to a new set of aligners. This is completely normal. The good news? You can see and feel your results throughout the treatment process, which is both encouraging and exciting! Like other orthodontic treatments, there is a possibility that you will need to wear a retainer after treatment. It will be contingent on your individual dental situation. When that time comes, Dr. Holmes will give you the information you need and advise you which retainer will be the best one for your mouth and bite. Orthodontic treatment is a major decision for many different reasons, but Holmes Family and Cosmetic Dentistry can assure you it’s a good investment. For one thing, straighter teeth tend to be healthier teeth—they are easier to clean and less prone to tooth decay and gum disease. Obviously, straight teeth are also more aesthetically pleasing and can impact your confidence, quality of life and mental health in positive ways. In short—if you really like your smile, you’re going to smile more!